Five years ago, a daiquiri shop on St. Charles Avenue in the Lower Garden District drew such consistently out-of-control crowds that the city of New Orleans ultimately revoked their alcohol license. Now, the owners of a Baton Rouge daiquiri shop want to open nearby and promise better management, but nearby residents and business owners voiced strong opposition to the idea, saying no promises or good intentions will keep it from becoming more of the same. 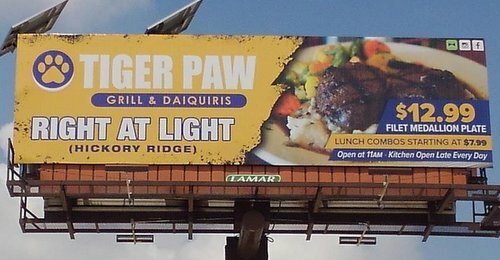 Ferdinand Jefferson and Chris Mercier own the LSU-themed Tiger Paw Daiquiris and Grill in Baton Rouge, and are planning to open a location at 1610 St. Charles Avenue, in place of the Krewe du Brew coffee shop. The Baton Rouge location serves food at the edge of two large neighborhoods, and nearby residents grab takeout or stop in for a meal with their daiquiris, Jefferson and Mercier said. In New Orleans, they envision a simple concept, where locals and neighbors can stop in for a daiquiri or a “Crown and Coke,” then move on to continue their evening, Jefferson said. “We run a daiquiri bar and grill. We run it in a neighborhood, and what we are proposing is a small neighborhood daiquiri shop that’s going to blend in,” Jefferson said. 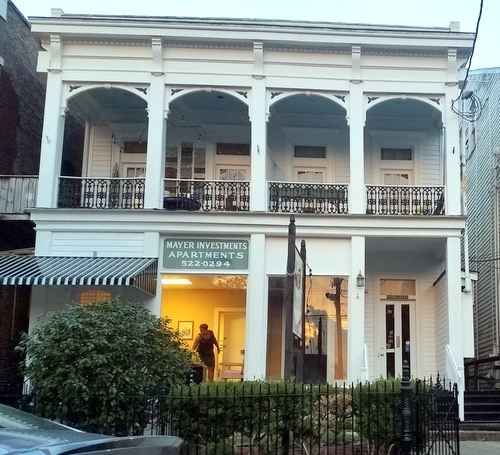 For Lower Garden District neighbors, however, the idea brings back still painful memories of battle over the former Daiquiri Place Cafe at 1401 St. Charles. City officials blamed the shop for attracting afternoon crowds so large that police officers had to close the bar to disperse the customers, who parked across the streetcar tracks and engaged in dangerous stunt driving, as well as littering and noise. That shop was first placed under strict sanctions in 2007, and finally lost its liquor license at the end of 2012 after the city’s alcohol board decided it had failed to clean up its act. The city then turned its enforcement attention to a neighboring restaurant, Santa Fe Tapas, whose drink deals were also blamed for causing similar crowds and problems. On Wednesday night, when the Tiger Paw owners held their first public meeting about the project, they were only able to speak for less than 10 minutes before the crowd of 15 nearby residents and business owners brought up the problems of the past, angrily displaying photos of those problems as well as newspaper front pages about Saturday’s shooting of 10 people in a crowd in front of a South Claiborne daiquiri location. Adam Lambert of Crescent City Auction said that the daiquiri crowds were such an impediment to his business that he bought the shop after it closed and transformed it into a veterinary office, to ensure it didn’t become a bar again. A number of other bars and alcohol-serving restaurants have opened in the stretch in recent years, and Polly Watts of the Avenue Pub said they have all been structured in a way to control their crowds. But the Tiger Paw plan — primarily serving daiquiris to go, with only seven seats in the bar — is begging to create large crowds, Watts said. “I don’t serve daiquiris at my bar for this reason,” Watts said. Mercier said the bar will have security cameras to discourage crime, and one of its two employees will serve as a doorman to help control the customers. Neighbors, however, insisted that a concept that works in suburban Baton Rouge won’t be nearly as simple at the edge of downtown New Orleans. Creating a bar at that location requires a conditional-use permit, so the project must be heard before the City Planning Commission and then receive approval from the City Council. The bar owners anticipate they need a month for renovations, and would like to be open by November.